Is it not perfection? The twisting curve of the slender leaves, the bow of the dusky stem, the subtle silk-screen print on the petals, apparently delicate as a moth’s wings (in reality, rather more robust), the architecture of the flower itself... 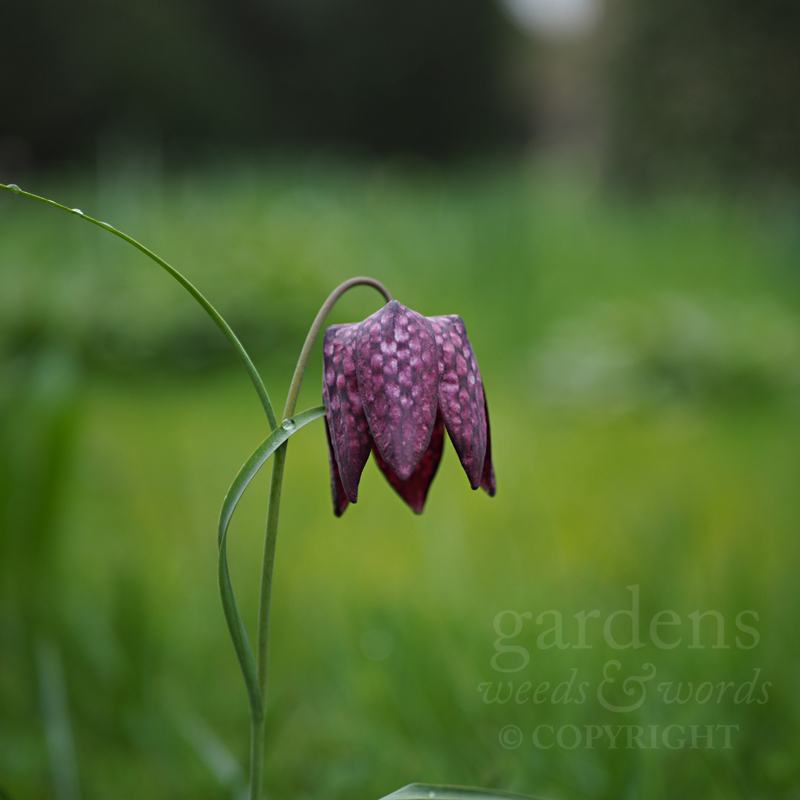 I come over all unnecessary when the snake’s-head fritillaries (Fritillaria meleagris) are out – the white variety is charming, but you really need the contrast of the darker purple to appreciate the chequered markings to the fullest extent. Plant in grass – preferably in number – and, if you’re on clay count yourself lucky – this is one bulb that revels in heavy soils.